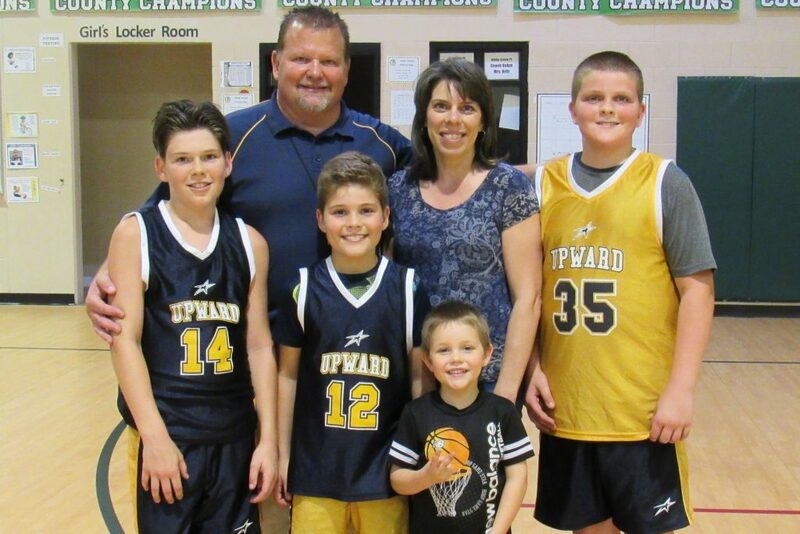 Established in 1995, Upward Sports is the world’s largest Christian youth sports provider. Today, approximately half a million players at more than 2,000 churches in 47 states participate in camps, clinics, and leagues through Upward Sports! Registration is now being accepted for the 2019 Co-Ed Volleyball season beginning on June 11, 2019. Only 80 spots are available. For current Upward Sports information and open registration, visit and follow Upward Sports of Fargo/Moorhead on Facebook. Boys and Girls Kindergarten through Eighth Grade A young basketball player can chart their own athletic journey through multiple levels of programming – all while being developed into total athletes mentally, athletically, spiritually, and socially. Evaluations are November and December. Practice will begin in January (only one practice a week). Games are played on Saturday’s throughout the community during the months of January, February, and March with an Awards Celebration to finish out the season. Girls Kindergarten through Sixth Grade Cheerleading is a huge part of sporting events at all levels of play. When athletes need encouragement and fans need entertainment, cheerleaders can take your sports experience to another level because they add excitement and spirit to any Upward Game Day! Practice will begin in January (only one practice a week). The cheer team will add spirit to Upward games that are played on Saturday’s throughout the community during the months of January, February, and March. They will also perform at the end of the season Awards Celebration. Summer Co-ed Volleyball program is designed to help athletes going into 3rd – 7th grade develop their skills in the sport, from the basics of volleyball to competitive play. Summer Co-ed Volleyball, sponsored by Upward Sports, prepares athletes for long term success. Registration opens 3 months before season begins. Full Fun Without Full Contact! With Upward Flag Football, Kids Play with Purpose! Begins August 2019 – Come back later for season details. Registration opens 3 months before practices begin. What makes Upward Sports Unique? Do you have a heart for sports and kids? The following are opportunities where you can serve in both. Serve drinks and food to patrons from the gym kitchen window. For more information, email Bethel Church Upward Sports Director Glenn Heinsch or visit www.upward.org. For current Upward Sports information and open registration, visit and follow Upward Sports of Fargo/Moorhead on Facebook.